The first out of 144 modules that will by October form the new temporary offices on site has arrived. 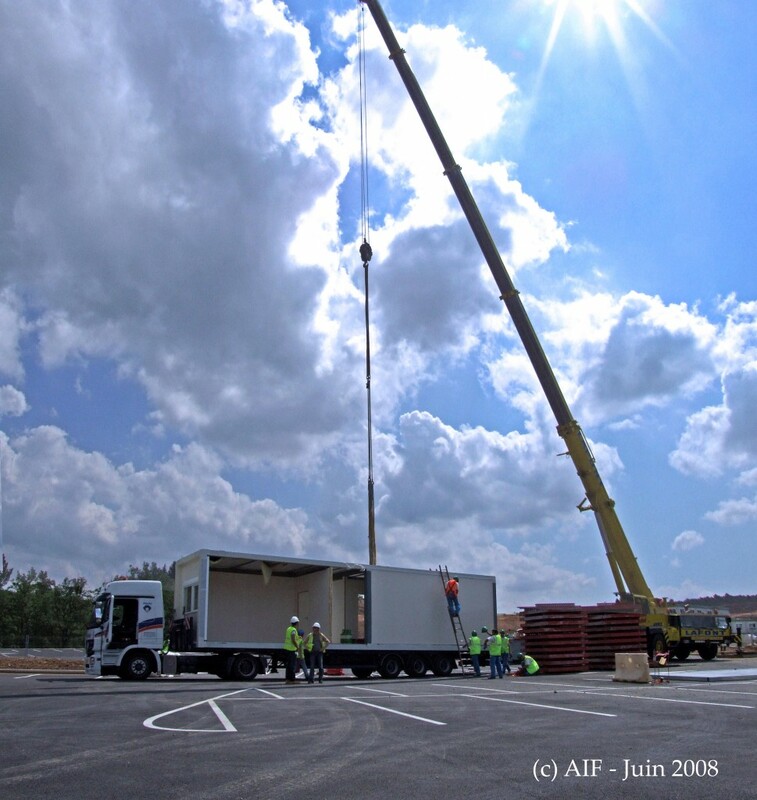 Last Tuesday, the first modules for the new (still temporary) ITER offices arrived on the site and were lowered onto their foundations. The three floor building will measure 5700 square meters, providing office space for 300 ITER staff. For that, 144 modules of several sizes will be put together before now and October this year.